Combining safety, great design and practical functions, the Maxi-Cosi CabrioFix is ideal for busy parents on the go. Weighing only 3.5kg, it’s light to lift to make moving your child from home to car without waking them easier. It can be anchored to your car using IsoFix if your car has that system. Or fit the CabrioFix with a three-point seat belt for convenience if you’re using it in multiple cars. This versatile car seat can be used with your Maxi-Cosi or Quinny pushchair to create a stylish, versatile travel system. This safe, rear facing baby car seat offers improved side impact protection for peace of mind on every trip. It’s designed to grow with your baby for a comfortable fit from their first journey right up to 12 months (13kg). A soft headhugger and seat reducer creates a cosy padded space for your newborn. The deluxe seat and harness are both padded for your baby’s comfort, even on longer journeys. The harness has an easy one-pull adjustment to fit as your child grows, or to accommodate bulkier clothing. The CabrioFix car seat has handy hooks to hold the harness straps out of the way. This makes it faster to sit your baby in place and get them comfortable. The seat cover is removable and washable, and spares are available to make life even easier. There’s an integrated sun canopy so you’re never caught out without essential shade on sunny days. 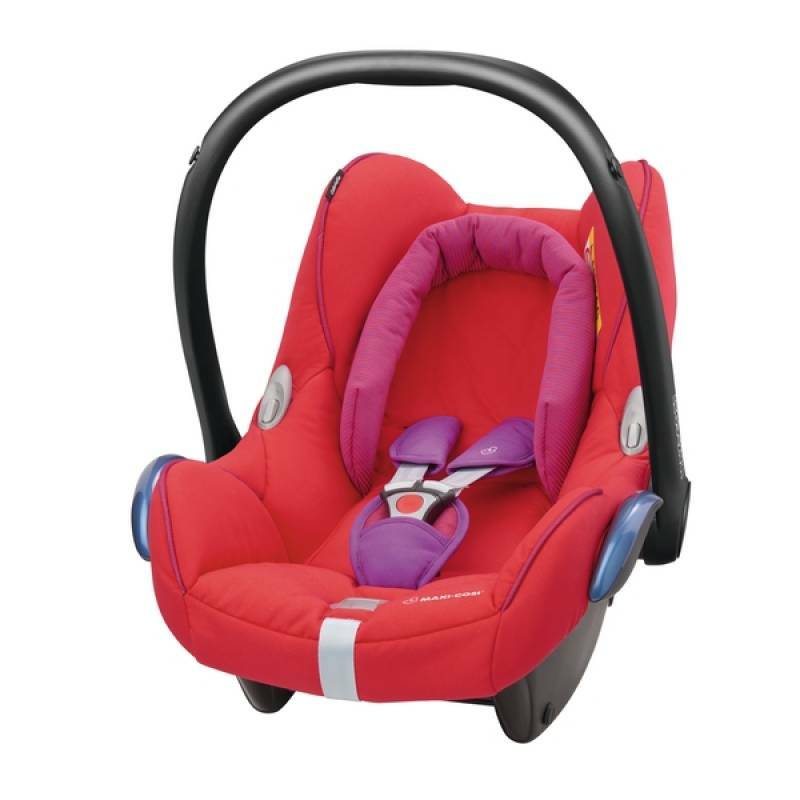 One of our range of premium baby car seats, other options to consider include the Maxi-Cosi Pebble or Maxi-Cosi Opal.